Iran marks the national Sa'adi Day paying tribute to the eminent 13th-century Persian poet during a ceremony in the historical city of Shiraz. Aficionados of literature across the world and in Persian-speaking countries commemorated the world-renowned Persian poet and literary scholar of the medieval period Sheikh Sa’di on April 21. In Iran, Sa’di’s mausoleum in the southern city of Shiraz host the festivities on April 20 and 21, with dozens of officials and prominent artists and scholars taking part in the ceremonies. 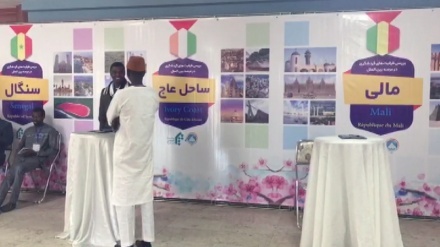 During the two-day event, academic conferences, traditional music concerts, art performances as well as photography and calligraphy exhibitons held at the Sa’di mausoleum. Scholars and experts specializing in works by Persian poet Sa’di of Shiraz (1210-1292) and Italian poet and scholar Francesco Petrarca (1304-1374) known as Petrarch met at a conference, titled ‘Sa’di and Petrarca’ in Tehran from April 17-18 to share ideas on and conduct a comparative analysis of works by the two poets. The meeting was jointly organized by Book City Institute’s Cultural Center, the Shiraz-based Center for Studies on Sa’di, the Iranian Embassy in Italy, Sapienza University of Rome and University of Bologna. 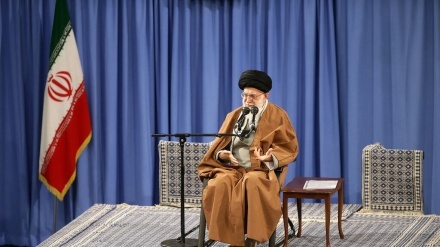 Similar events also scheduled in several cities across Iran, Afghanistan, Tajikistan, India and other countries. Sa’di, along with Rumi and Hafez, is regarded as one of the three main pillars of romantic poem in Persian poetry. Born in the Iranian city of Shiraz in 1208, Sa’di is often referred to as the Master of Prose and Poetry in the Persian literature and he has been globally praised for expressing his deep social and moral thoughts in a style which is famous for being ‘simple but impossible to imitate’. Sa’di studied Islamic sciences, law, governance, history, Arabic literature and Islamic theology at the Nizamiyya University in Baghdad and set off for a three-decade journey to foreign lands after the Mongols invaded Iran in 1220s.